"The One Mattress That Knows You Best"
You've spent countless hours in showrooms searching for the perfect mattress, but the sleepless nights don't end there. You are not alone. Many others are just like you. 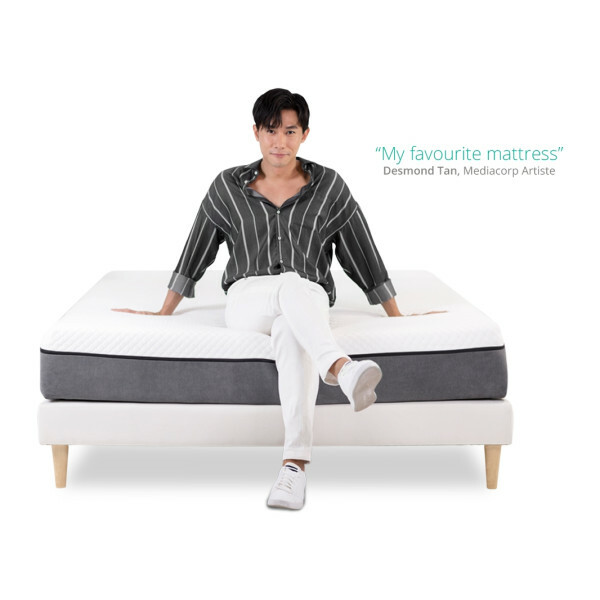 In fact, most people look for the same qualities in a mattress. Haylee is all these things in one mattress. 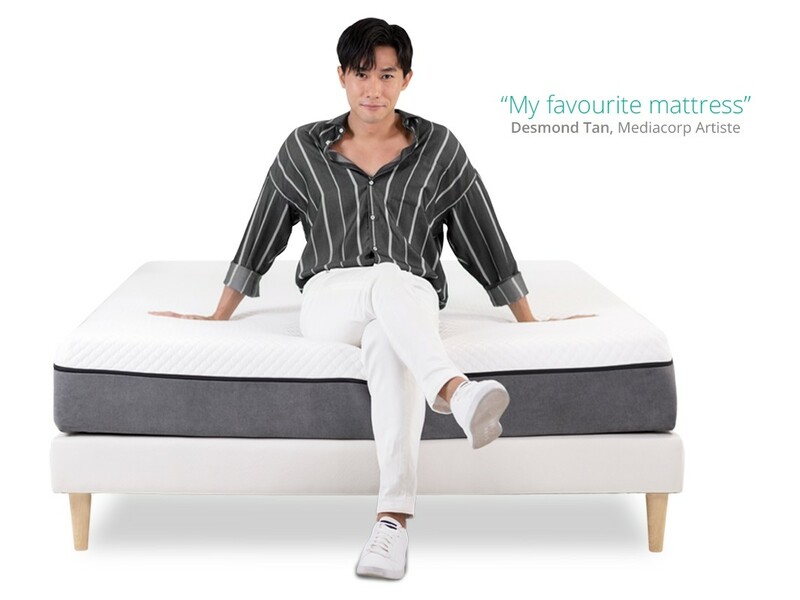 Our research team at Haylee studied Singapore's Mattress Market for 10 years, observing over 560,000 mattress viewings by 54,000 mattress buyers, collecting feedback from over 33,000 mattress owners. 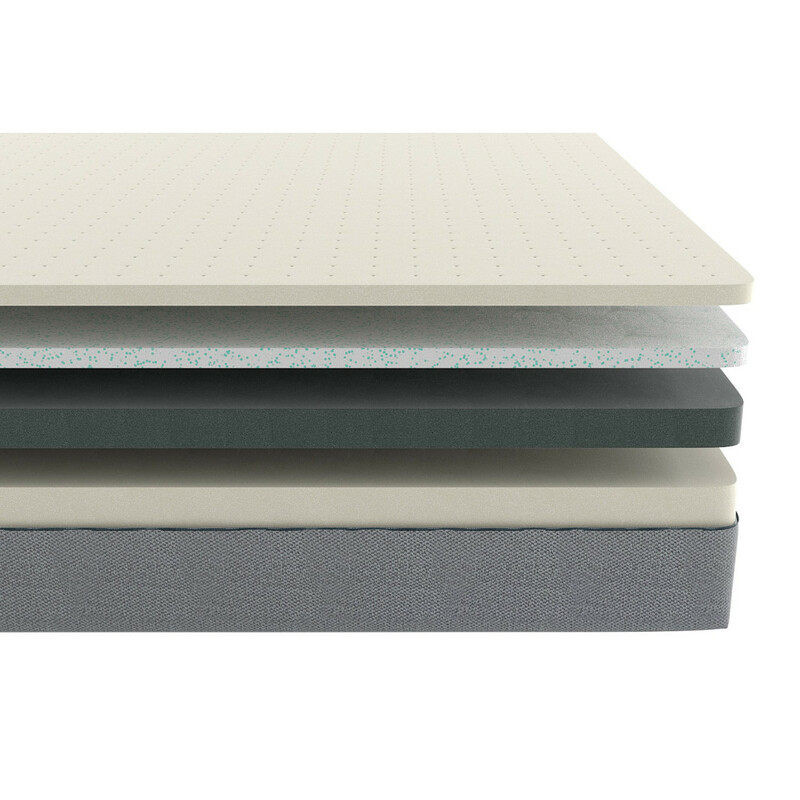 We have tested over 100 different combinations of materials, thickness, and ratios in order to create the perfect mattress specially catered for you. 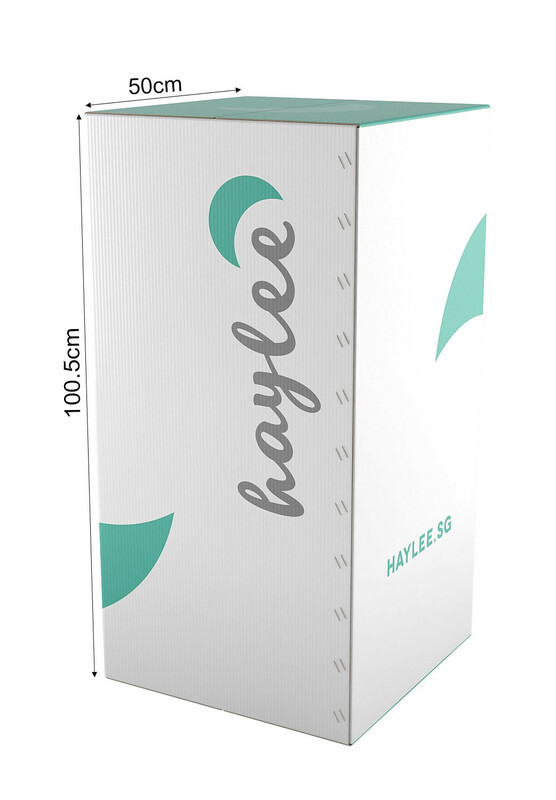 Haylee's easily removable & washable knitted fabric zipper cover is stretchy & snug for a breathable dry fit. 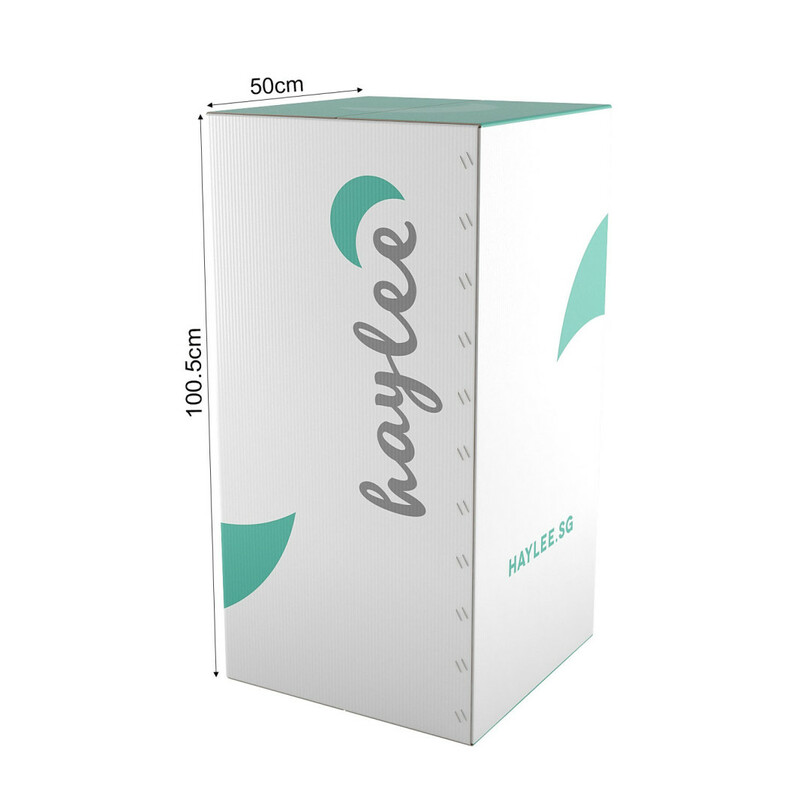 Made from sustainable, renewable bamboo fibres, Haylee's mattress cover is naturally treated to be OdourFree, Anti-Dustmite, Anti-Bacteria & Anti-Fungal. 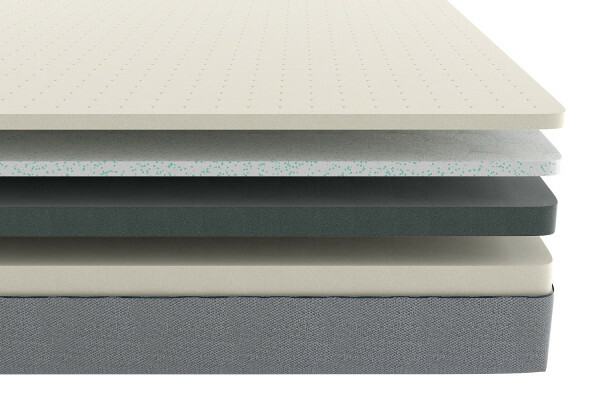 AeroFlo Perforated Vents provide advanced air flow & circulation through this comfy, supportive memory foam layer. 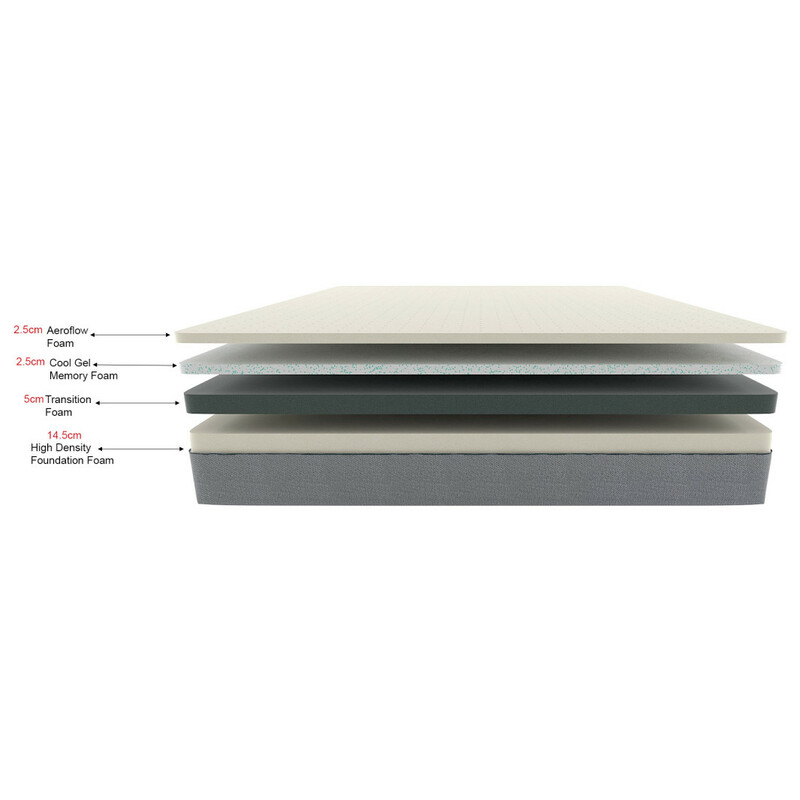 Your body's heat is channeled through Aeroflo Foam's air vents into a lower layer of Cool Gel Memory Foam, renewing coolness and regulating your body temperature. Infused with Cooling Gel to rapidly reduce mattress temperature, the higher density Haylee Cool Gel Memory Foam zeroes out motion transfer through gentle, firm support. A thick layer of transition foam underscores the ventilating and cooling top memory foam layers with consistent weight distribution & transfer, while easing the firmness of the mattress base foam. Perfect, sturdy support for any body weight suitable for long-term use on slatted, mesh or any other divan surface. 1) Please ensure that you have enough space to unfold the mattress. 2) Remove the compressed mattress from the packaging, and place on the ground or bed frame base. 3) Carefully remove the tape, and make sure you do not cut into the inner plastic bag. 4) Unroll the mattress on a flat surface. After 5 to 10 minutes, cut a small corner slit in the inner plastic bag, and allow the mattress to fully decompress. 5) After 20 to 30 minutes, unwrap the entire plastic bag. The mattress is ready to be used but note that it might not be of original dimension during the initial stage. Allow 3 to 7 days for the mattress to breathe and expand to its full original shape and size. 10 years warranty against manufacturing defects. Warranty card is not included. Keep your tax invoice for warranty claims. 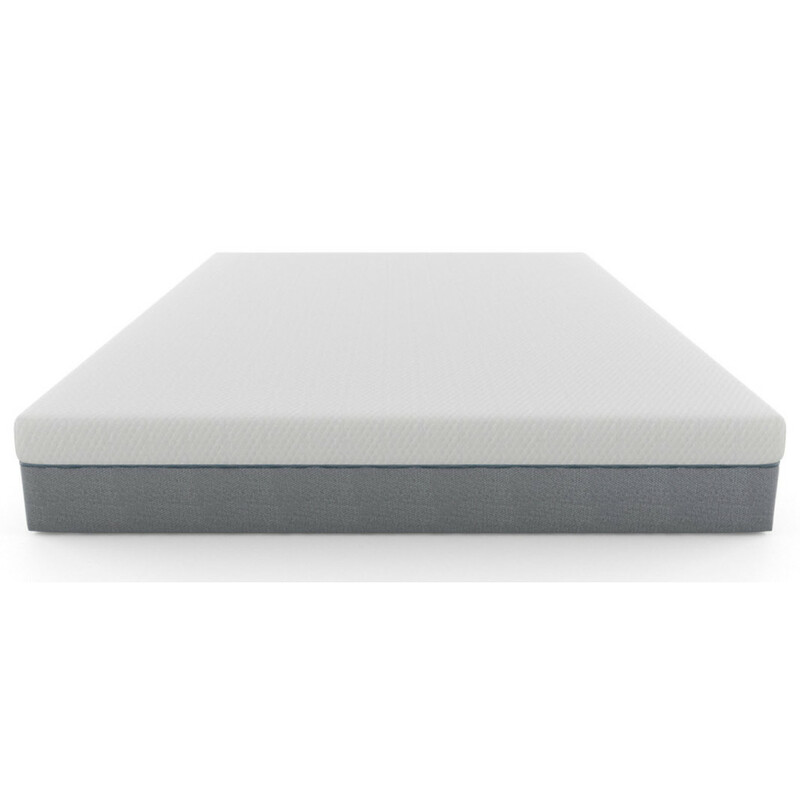 Couldn’t ask for a more affordable and good quality hybrid mattress. The memory foam is wonderful but the latex material prevents the mattress from heating up. Have found myself sleeping very well with this new bed! To me is a bit too soft. Memory form is soft but the pocket springs are really too hard. Only worry the memory form will deform after years of sleep. Can't sleep this mattress without pillow. Excellent 5 star product. Solves my problem waking up to a sore, cramp buttock and leg every morning. Memory foam is firm but not hard. 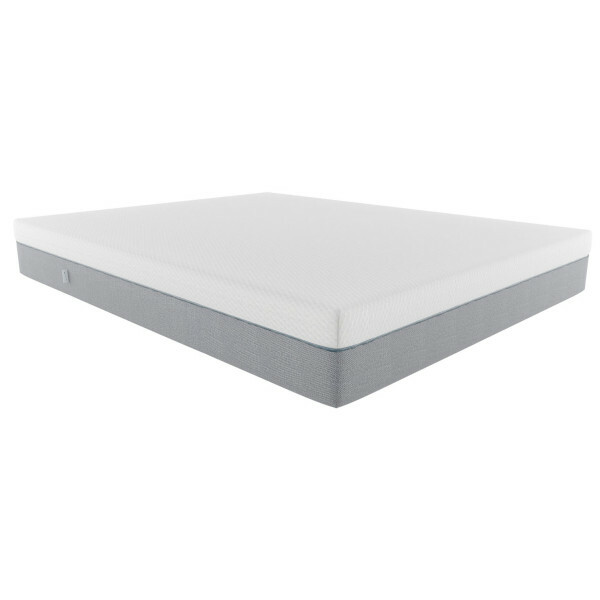 It provides excellent support without giving pressure on my pinched nerve when I sleep. Should have bought this earlier instead of sleeping on my super hard mattress. As there are no springs, you will not feel your partner's movement at night (which is great). It is also cooling to lie on. Generally feels quite durable. Only complaint is that it is a little harder than expected - hopefully it will get softer after a few months of use. was apprehensive about getting a mattress without trying initially. 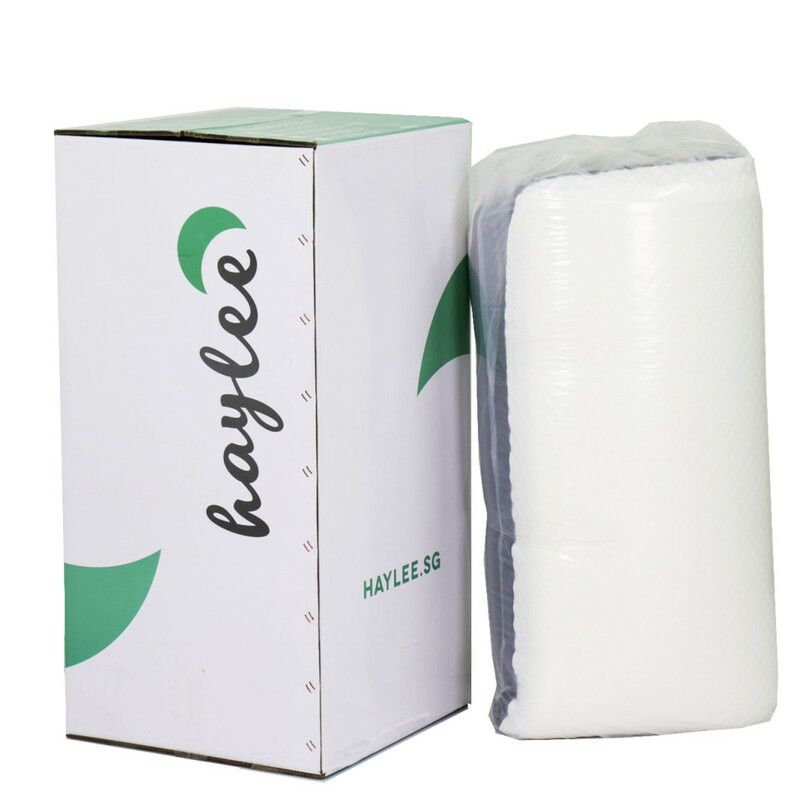 The Haylee mattress surprises us with its price and quality. It's soft and comfortable, it absorbs shock really well too. Which means there's minimal disturbance to your partner as one toss and turn in bed. A really good buy at an attractive price.